Simply hire 17 seater luxury tempo traveller in Delhi for localsightseeing, delhi darshan. Select your travel destination and choice type of tempo traveller on Ant Travels at good prices. Go ahead and book a 17 seater tempo traveller for your safety delhi tour. Ant Travels is the best tourist company in delhi ncr offering 17 seater Tempo traveller on rent in delhi for local sightseeing, we are the leading transporter in delhi ncr beacause we have all vehicles brandnew for our foreigner and domestic customer. 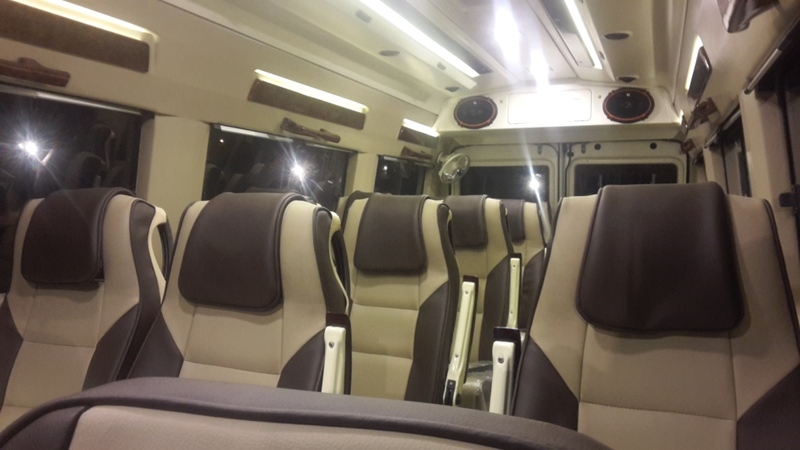 17 Seater Luxury Tempo Traveller In Delhi:- Ant Travels gives you full satisfaction in travel our drivers behaves like your family members and the best quality is of our drivers they knows all places like he is a city guide. 17 seater luxury AC tempo traveller on rent in delhi for delhi sightseeing tour, delhi darshan. - All of 17 Pushback Seats. - Ice box and First Aid Box. - Driver and cleaner in Uniform.